Standing out is no longer optional. Learn how to become a thought leader - the agenda setter, the go-to person - with Dorie Clark's Stand Out. Too many people believe that if they keep their heads down and work hard, they'll gain the recognition they deserve. But that's simply not true anymore. To get noticed, create true job security, and make a difference in the world, you have to make sure your ideas get noticed. 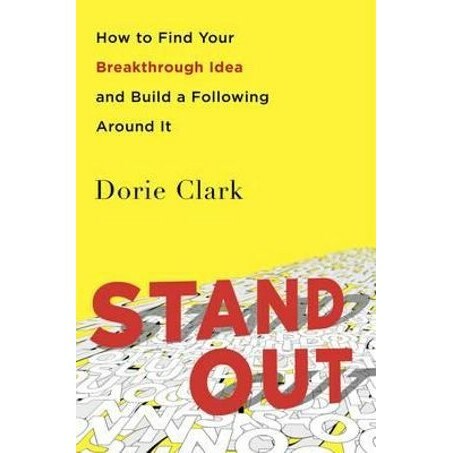 Drawing on interviews with thought leaders including Seth Godin, David Allen and Daniel Pink, Dorie Clark shows you how to break through the clamour of everyday life and inspire others to embrace your vision. Whatever your cause, perspective, or point of view, your ideas matter. The world needs your insights, and it's time to be bold.